To own a property and to manage one is a very difficult task because there is a multitude of activities happening every day in that same property, that one gets mixed up on what to maintain and what to overlook. There are several operations, which have to be looked into in the facility and demands immediate attention, and it is not easy to maintain a property on your own. This is when the experienced and skilled group of people who are experts in property maintenance services come to one’s rescue. Before getting into knowing such kind of professionals, let us first understand what it actually means. Maintenance of property generally means the regular keep up and repair the area. It refers to general preservation and improvisation of the property and maintains a particular sanitized condition whether it is for any kind of building like a commercial, industrial, mall, or an office space. Maintenance of property is a wide task with various operations to be looked into and so it is important to hire a maintenance crew who will be looking after the estate regularly and will maintain it with their modern equipment and materials. Above all this, property maintenance servicesalso give the space and offer an aesthetic appeal. It also increases the life of the property because it is being regularly maintained and repaired and so you can cut down easily on renovation expenses which are often expected in the future. With a whole professional crew looking after your real estate, you can be stress-free and spend less time looking after the condition of your property. It takes off a real response out of your plate and gives you more time to look into others matters of importance. A property maintenance crew helps in moving in and moving out easily. To shift in and out of real estate is a really stressful task, but with the help of professionals, one can easily do this job efficiently. Whether it is vacating the space or assembling the furniture and machinery to move in, all can be done with great ease with the help of a trained team. One of the main motives of receiving such maintenance services is the cleanliness and sanitization offered by the crew. They use high-quality efficient machines to take off dust, debris, paint and moulds off the surfaces of the buildings. They also clean windows, dirty walkways, gardens, and literally anything that is on your property. With the maintenance crew looking after your property, you do not have to worry about a single detail of your real estate. It is one of the perks of hiring property maintenance services that ensure sanitized, hygienic, highly functional, and aesthetic environment all the time. From your parking lots to your floor stains, everything is looked after. There are many properties which suffer from illegal dumping. This meanspeople, throw away their old supplies, trash, broken furniture, and equipment on the property without thinking twice. This is mainly seen in industrial facilities. However, property maintenance crew piles the entire junk that gets cluttered in your parking lot or is blocking the way of your entrance and looks after its disposal or recycles it in a safe manner. 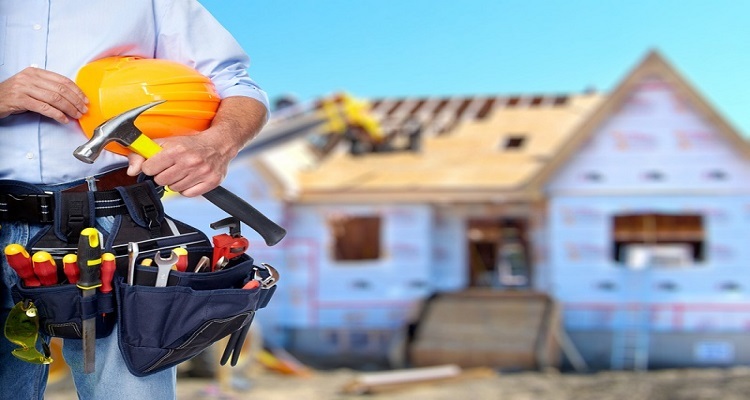 Any kind of damage caused due to weather or intentionally on your real estate is looked after instantly by the skilled crew appointed for property maintenance. With the help of the tools and technology available on the tip of their fingers, they can easily repair everything, whether it is the cracked surfaces or broken signs. That’s why when the right kind of property maintenance services are hired, your real estate remains in trusted hands.